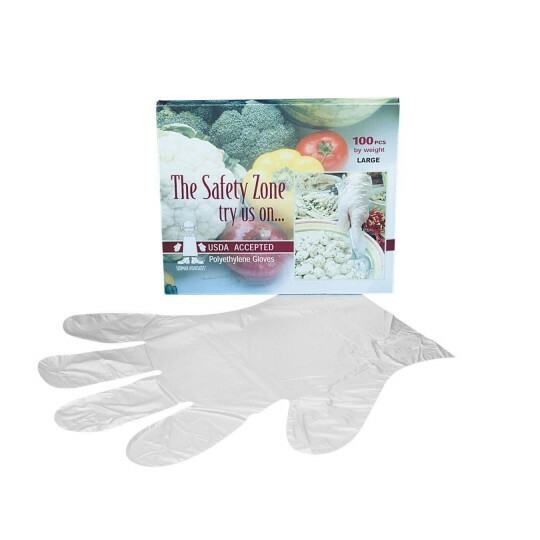 Large disposable plastic gloves measure 8"W x 11-1/4"L.
We bought these to use in our Occupational Therapy Department in a skilled nursing facility. They work pretty well for crafts but aren't sturdy enough for heavier tasks like cooking or cleaning. Great value for the price. 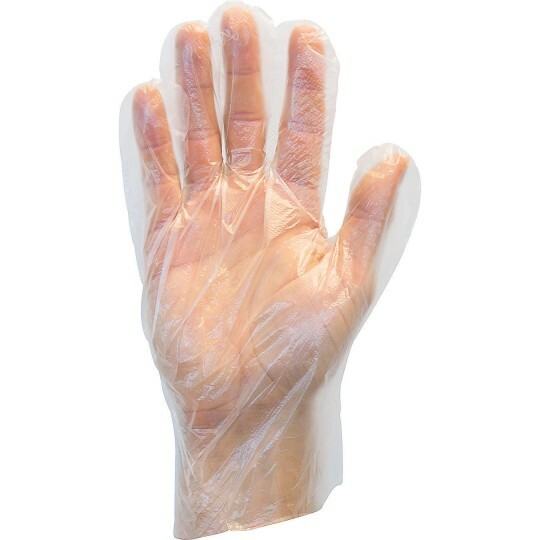 Keeps hand clean and dry. These gloves are huge.. probably a double extra large. The plastic is thin and easily rip. Adequate for minor messes.